To avoid any risk of bruising or abrasion injuries the dispenser has been designed with soft feel plastic end housings supporting Aluminium sections forming an enclosed structure without any exposed sharp or serrated cutting edges, with a snap down feature on the lid for protection against the risk of contamination. 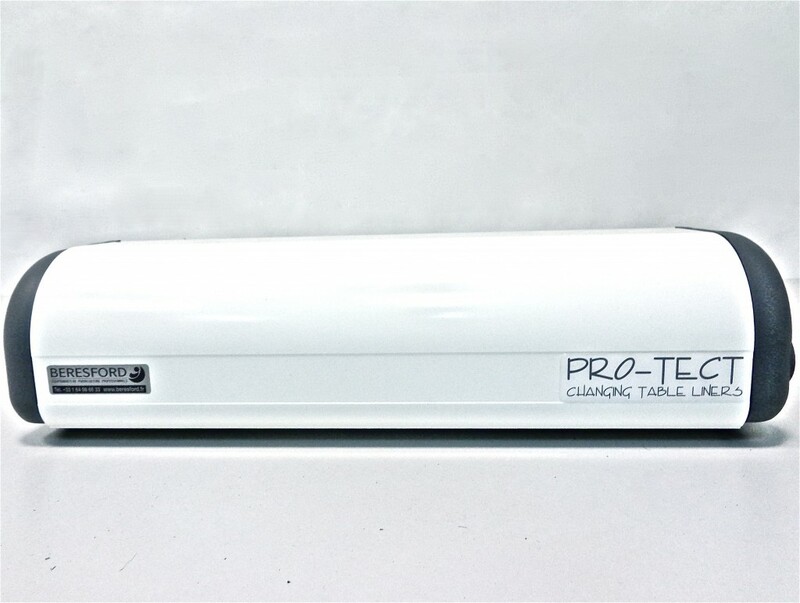 The dispenser is fully enclosed protecting the liner roll from contamination. The liner material is a combination of white tissue paper bonded to a Polythene foil to give the ideal balance between water resistance for hygiene (minimising cross contamination risks) with the comfort of a conventional tissue surface for the baby. This material should not be confused with a 2 ply paper product. 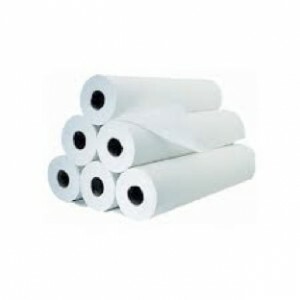 Supplied in 50 metre rolls yielding approximately 130, 38cms square sheets per roll.